I’m not sure as to a pattern yet, but I picked out the fabric I want for my next quilt! It’s going to be bright and cheery, and I’m going to be so in love with it! This is going to be one hell of a de-stashing project, but I’m ready for it! I mean with these fabrics, it’s hard to not like something made with them. I can’t wait to start the piecing process! The Spoils Of Fabric Shopping! A certain craft super store has a sale on fabric this weekend! I went to the store after work and got some fun stuff! 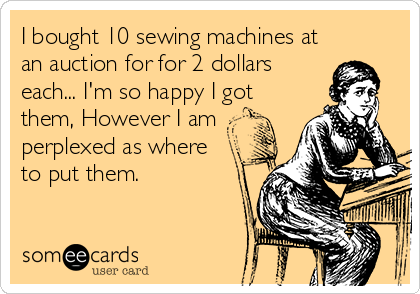 I can’t wait to sew something tonight! No idea what I’m going to make, but I want something cute! Maybe some pillow shams! 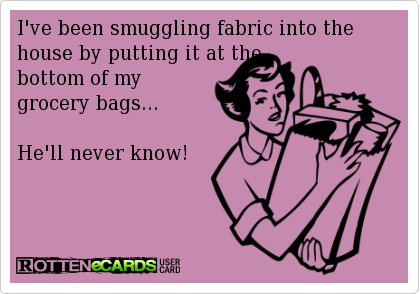 Let me start off by saying, the original title of this post was “Buying Fabric and Smuggling It Into Your Home”. 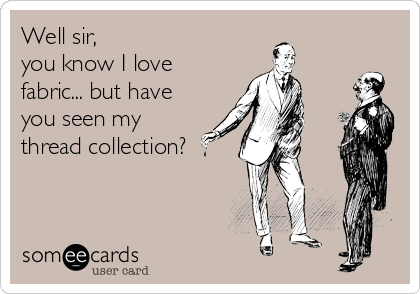 Yes… I buy a lot of fabric, and yes I do it with my money, and yes, I still feel the need to hide it. Once, I was sitting in the parental unit’s living room with my Cousin-In-Law and I had her picking out fabric for her quilt. MY Cousin proceeded to ask me how much the fabric costs. He was curious because I had a bin full of about 300 fat quarters. I started to tell him, and my Cousin-In-Law told me to ‘Shhhh’. She said he didn’t need to know how much it costs. All I could do was laugh. She just didn’t want to tell him how much she had been spending on fabric. She also sews and someday I think I would like to make a quilt with her. I think we would have terrible amounts of fun! 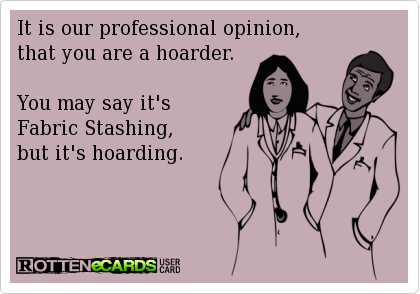 But, back to the main purpose of this post… Why doi we hide how much we spend?